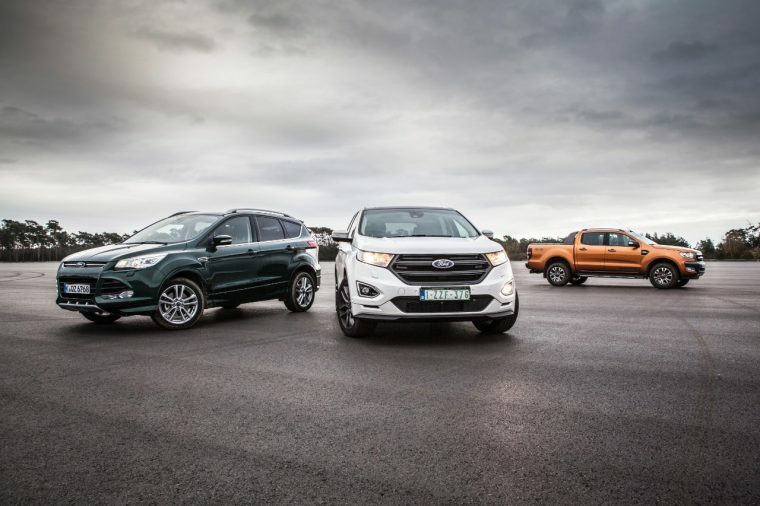 Ford anticipates selling a minimum of 139,000 vehicles equipped with either all-wheel drive or four-wheel drive in Europe next year, which would amount to a 120% increase from the total number of AWD/4WD vehicle sales in 2014. Eight of Ford’s 17 vehicle lines sold throughout Europe will be offered with either AWD/4WD by the early part of 2016, up from just three lines in 2012. Among the models that will have AWD or 4WD capabilities are best-sellers such as the Edge, Kuga, Galaxy, Mondeo, S-MAX, Ranger, Transit, and all-new Focus RS. Ford also noted that it expects to sell 200,000 SUVs in Europe in 2016, which would be a 200% increase from SUV sales in 2013.